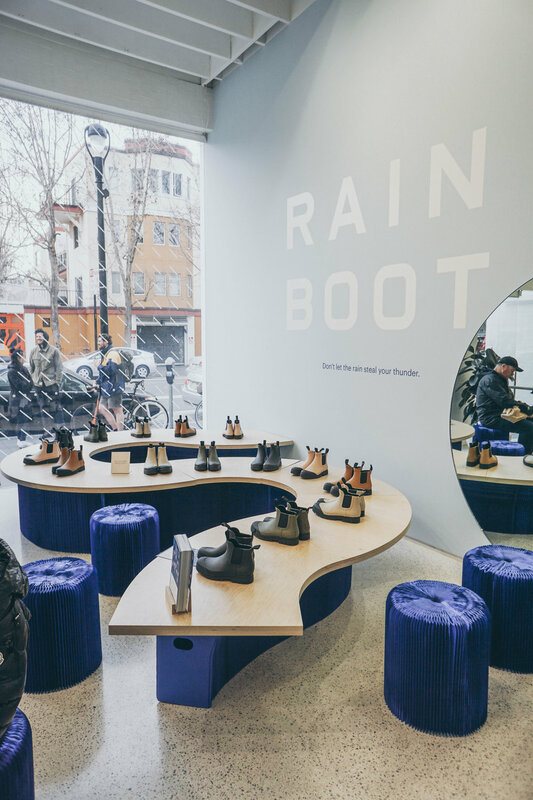 Rainboot/Cashmere Cabin - Everlane – LMNOP Design Inc.
Everlane has a long history of working with local partners to create an economically, environmentally, and socially sustainable brand. For their first Bay Area shop they called upon the help LMNOP to bring their furniture design vision to realization. LMNOP worked closely with the Everlane design team and Nicholson Design + Fabrication to fabricate custom display shelving, display tables, and seating. The floating shelves incorporated flush mounted LEDs to best highlight the products; while the powder coated table and seating bases reflected the clean lines that is consistent throughout the space.